An important part of your holiday experience is getting to your destination, and at Direct Traveller we want you to have a smooth trip right from the beginning with direct flights from your local airports. Depending on your requirements there is a great range of flights to choose from, with a selection of UK departure airports, including Gatwick, Heathrow, Stansted and Luton. All of these are direct flights and travel to various resorts in Turkey, Malta, Sri Lanka, Dubai, Cyprus and Croatia, offering you the flexibility to find the journey that suits you best. Holidays to North Cyprus are with non-stop direct flights to Cyprus just south of the border or via Turkey to Ercan in North Cyprus itself. No matter where you live, we believe that your holiday should be as easy and stress-free as possible, so we endeavour to arrange for flights from as many UK airports as possible. Below is a list of the UK airports available and a little bit of information about each. Birmingham Airport has been flying to multiple destinations all over the world for 73 years and since their first flight in 1939, they have carried millions of customers to and from holidays and work, offering a great alternative for those without easy access to the large London airports. Birmingham Airport facilities include two massive duty free shops, multiple restaurants as well as cafes, and shops to buy any last minute essentials as well as some food before or after your flight. The shops range from Boots and M&S to Dixons and WHSmith, ensuring that any little forgotten item can be replaced, and that you are completely at ease upon boarding your flight, or preparing to go home. Birmingham Airport also has a handy app that gives you live traffic and flight updates as well as an airport guide to make sure you are completely on top of everything. Originally used as an RAF base during WW2, Bournemouth Airport has since become commercial, with flights starting in the 50's and continuing ever since going around the UK, Europe and beyond. There are direct flights leaving for Dalaman, Turkey four times a week on Mondays and Fridays, which offers our customers a great opportunity to fly a little closer to home instead of having to use the larger London Airports. Bournemouth Airport also has restaurants that offer a range of cuisines for when you want a final bite to eat before, or even after your flight, and the large duty free shop as well as the WHSmith gives you the opportunity to buy a book, magazine or sweets for the journey or maybe some perfume at a bargain price! When Bristol airport was opened in 1930 it became the third civil airport in the country. 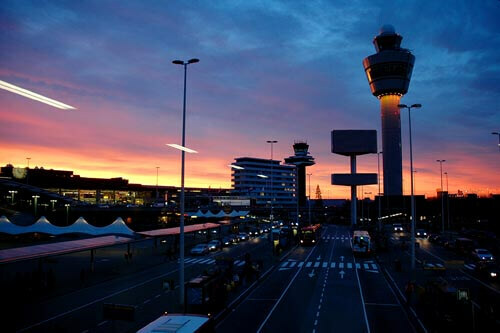 Today, the airport helps almost four million people get to their destination on over 36,000 flights. Bristol airport facilities are fantastic, with WHSmith, Claire's Accessories, Superdrug, Dixons and Duty Free shops available for that last minute flight essential. There is also a wide range of restaurants and coffee shops for your final bite to eat before your fantastic Turkish holiday begins. Or, if you don't want to go straight home and let your holiday end just yet, why not have a meal in the airport before leaving, as they have great meal deals and a rewards service is available where special deals and savings are available. Cardiff airport officially became a commercial airport in 1952, changing from its previous use as a second world war military spitfire training base. In the past ten years the airport has been through multiple renovations and expansions and has twice been voted one of the Top 10 Best UK Airports in the Telegraph Travel Awards. 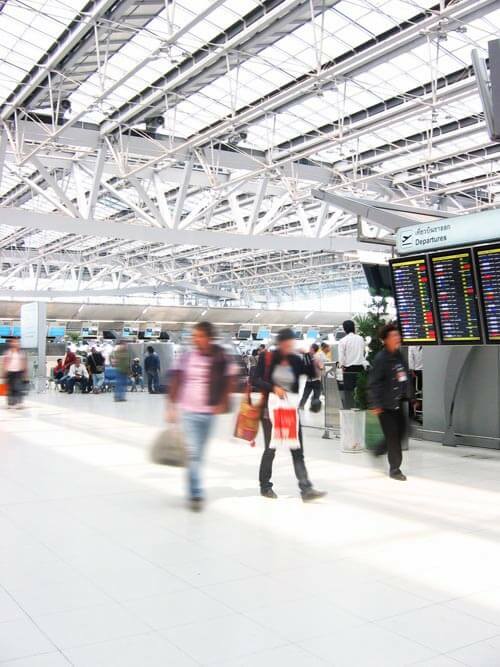 The airport facilities are extensive with a range of shops, cafes and restaurants available to travellers and their friends and families including Burger King, WHSmith and Duty Free services. Cardiff Airport flies to many of our destinations with services running throughout the week and ensures that all our Welsh customers, as well as those near the border who might not want to go further afield for their flights, have fantastic access to a very well serviced airport. The Robin Hood Airport in Doncaster is the newest airport in the UK, having been opened in 2005 on the site of a former RAF base. This modern and well equipped airport is fantastically placed to enable travellers from Yorkshire and the North Midlands to travel without having to rely on larger southern airports. Last year almost a million passengers used the airport for both business and pleasure purposes and with their services to Turkey we agree that it's a fantastic beginning to your holiday. The Robin Hood Airport in Doncaster flies to many Direct Traveller destinations, making it a popular alternative to main airports The airport also offers a good range of services including a Wetherspoon and Travelex, as well as WHSmith and a Duty Free shop for all those last minutes things that you might have forgotten, or that final meal that you just have to squeeze in. Catering for over four million passengers a year, the East Midlands Airport serves over 90 locations around the world from long haul passengers to charter flights and even freight planes. When you're waiting for your flight, or even when you're going home, there are a whole host of food services from Greggs to Burger King, AMT Coffee and more, ensuring that every peckish craving is satisfied, and of course to make sure you have some on flight snacks! But don't forget the tax and duty free shopping, with up to fifty percent off some of the items on offer, it's one of the best parts of going away (apart from the actual holiday of course). 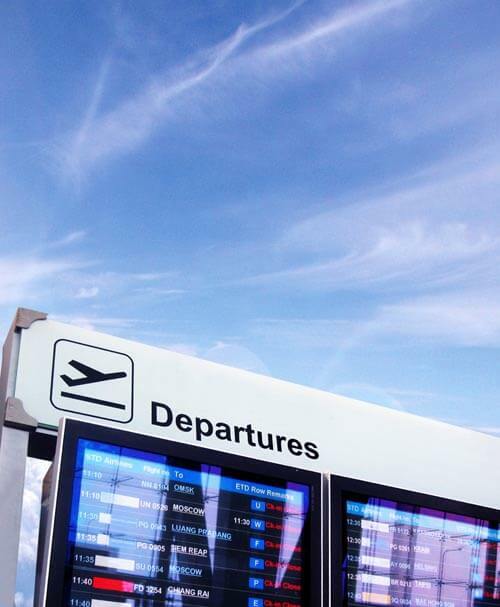 The East Midlands Airport flies to many destinations throughout the week with multiple flights to each destination to ensure you can travel where you want, when you want. Edinburgh Airport serves over 24,000 passengers each and every day and is open 24 hours a day, 365 days a year with a dedicated international service committed to carrying customers exactly where they want to be, exactly when they want to be there. Having opened in 1977, Edinburgh airport primarily takes customers to London and around the rest of England, however they also have a small but great service to many destinations direct and via touch-downs. But before you head off on your dream holiday, make sure to browse the wide range of shops that offer absolutely everything you could possibly need, as well as a great selection of cafes, bars and restaurants as well as fast food outlets, to satisfy any last minute cravings. Exeter airport opened to public traffic in 1937 and since has gone from strength to strength, offering a fantastic range of both national and international services all over the world, including the beautiful Turkey. There is an outstanding range of services at the Exeter airport for customers, from duty and tax free shopping, to coffee shops and bars as well as proper sit down restaurants and a whole host of lobbies and lounges with internet access for some last minute web surfing before you board your flight. TURKEY: Dalaman - Mondays & Thursdays. Gatwick airport is around 2.5 miles from Crawley and 30 miles from the centre of London. Located in Sussex, the south of the London orbital, Gatwick is second busiest airport in the UK and one of the busiest airports in London. Very popular with Charter flights and scheduled flights alike, Gatwick airport serves 200 destinations in 90 countries with over 38 million passengers each year. Gatwick has single runway and two terminals North and South. Each have their own duty free area and are a perfect start to any holiday. Heathrow Airport is one of the major international airports serving the London area. It is the busiest airport in the UK with flights to a grand total of 183 destinations. In Heathrow Airport's 5 terminals, there's plenty to keep you occupied (and spending!) within the airport, with a great selection of retail shops to suit all tastes and some truly delicious places to eat to accommodate for everyone whether you just want a quick coffee or perhaps a proper three course meal. Leeds Bradford Airport was originally known as Yeadon Aerodrome when it first started up in 1931 as a ground for club flying and training flights. It has since grown a lot, having had a £5 million refurbishment in 2006 so that it now offers a great range of food, drink and shopping services that provides customers with a relaxing and enjoyable start to their travels. Flights from Leeds Bradford go to many destinations direct or with touch-downs. Liverpool airport is now a popular airport to depart from for many holiday destinations. Departures from Liverpool airport are available to Turkey, Malta, Portugal, Spain, Croatia, greece, Cyprus, Italy, USA and more. See holiday deals from Liverpool airport here. London's Luton Airport is the UK's 5th largest passenger airport, with almost 9 million people having travelled from here. Flights are international and visit a variety of destinations including Turkey with AtlasGlobal , Cyprus with EasyJet, Malta and more.. You're sure to have many distractions before your flight with Luton being host to a plethora of shops, bars and restaurants. You can treat yourself or just have a wind down while preparing for your exciting holiday ahead! Newcastle Airport has been flying to multiple destinations all over the world for 77 years and since their first flight in 1935, they have carried millions of customers to and from holidays and work, offering a great alternative to those without easy access to the large London airports. Newcastle Airport facilities include a great range of child friendly places from the GameGrid arcade to the Crayola section in the WHSmith to keep them entertained before your flight. Not to mention the wide range of shops in Newcastle Airport including Claire's Accessories, JD Sports and Boots to make sure that not a single thing can be forgotten, even if you didn't pack it! And if you and your family are feeling a bit peckish before your flight, head to the host of cafes and restaurants such as Upper Crust, Burger King, Greggs and Starbucks as well as proper sit down restaurants if you're really early and hungry. 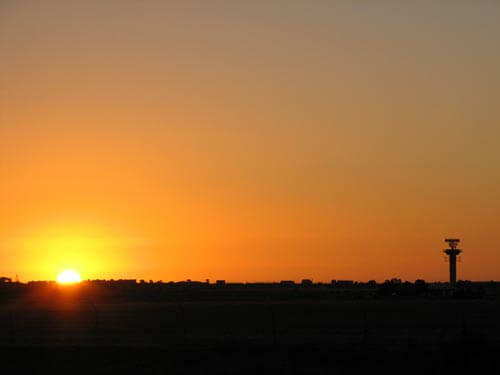 With direct flights to many international airports, Newcastle is a fantastic choice for a starting location for your holiday. London's Stansted Airport has been around since 1942, and has grown over the years to become one of the most popular choices in the UK for international travel. 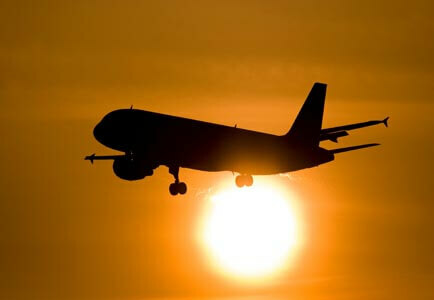 As calculated from March 2012 it has 17.8 million passengers per year and is the fourth busiest airport in the UK. The airport serves over 150 destinations and waiting for any one of these is a dream in the modern airport with its Duty free facilities. Stansted airport has a lot to keep you entertained though, with shops scaling from high street brands such as Boots to high end retail like Ted Baker. There are also a number of delicious food and drink locations, perfect for relaxing with a coffee, grabbing a quick snack, eating a hearty meal or having a sneaky cocktail to get you in the holiday spirit!